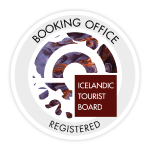 Home/Iceland, Things to do, Traveling in Iceland/Where to see Puffins in Iceland? The Atlantic Puffins land on sea coasts and islands all over the North Atlantic. But when 60% of the entire population choose to nest in Iceland, we think they clearly have a favorite spot. An astounding population of 8 to 10 million Atlantic Puffins have made Iceland their home. 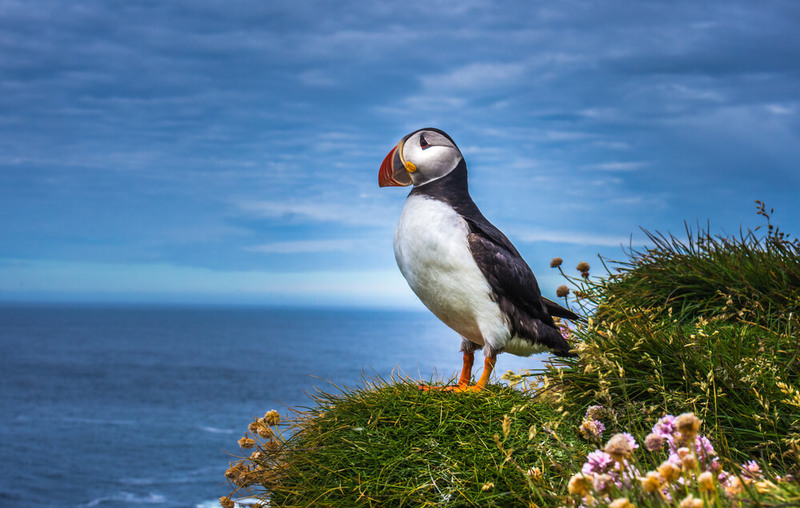 The puffins, or “lundi” as Icelanders call them, have now become very much associated with the country and its tourism, as travelers from all over fly to Iceland and flock together to catch a glimpse of this adorable bird species. 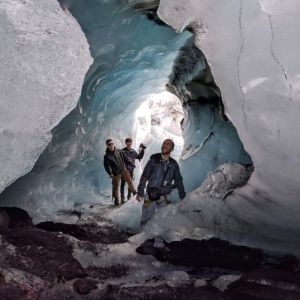 We are here to give you the inside scoop on the best places in Iceland to see the famous birds and give you a little information on them so you can impress your fellow travelers. The puffins are penguin-like birds but because of the coloring on their beaks, have been nicknamed the “sea parrot.” The color of their beak fades to gray during the winter but the color returns in the spring, to be able to attract mates for the season. They spend most of their life out at sea and are excellent swimmers, able to dive down to 200 feet or 61 meters. They are also very fast in the air and can reach speeds of 55 miles per hour, or 88 kilometers per hour, by flapping their wings 400 times per minute. You can find the puffins on any of three large bird cliffs in Iceland. The first two, the Nature Reserve Park of Hornstrandir and the cliffs of Hornbjarg, are both located in the northwest of Iceland. And the Látradbjarg Cliffs are in the Westfjords, which is the westernmost point of Europe. Two other fantastic locations are Lundey, also known as Puffin Island, and the Westman Islands or Vestmannaeyjar. Lundey is only 5 minutes away from the shores of Reykjavik, accessible by boat, and is a tiny, uninhabited island that serves as a safe haven to puffins and other seabirds. The Westman Islands consist of 15 small islands off the south coast of Iceland. Some of the islands are inhabited, the largest island currently home to a human population of over 4,000. But these small islands also host the single largest puffin colony in the world and offers great viewing opportunities of the species. The puffins usually return to land starting in May, preparing for the nesting season in June. These are the best months to see the birds as they tend to be more stationary in their nests, either laying eggs or protecting already existing ones, and because the summer months of Iceland will give you the most daylight hours for your viewing pleasure. All you have to do is show up and the adorable puffins of Iceland will do the rest and are sure to impress.